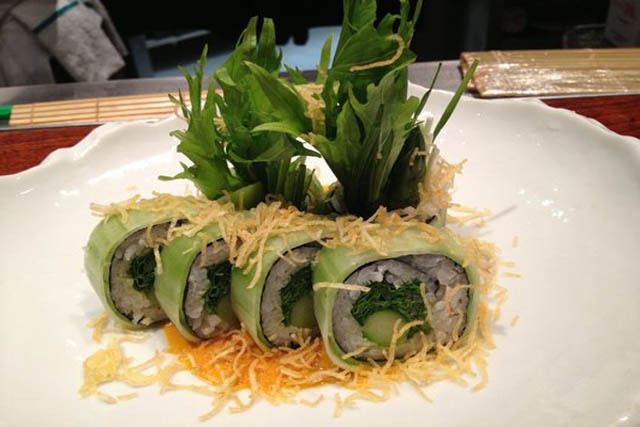 Just in from LA, the California style sushi phenomenon Sushi Roku has hit the Forum Shops at Caesars Palace. Famous for its delicious food, Sushi Roku includes not only California style sushi, but also modern delicacies like monkfish pate. 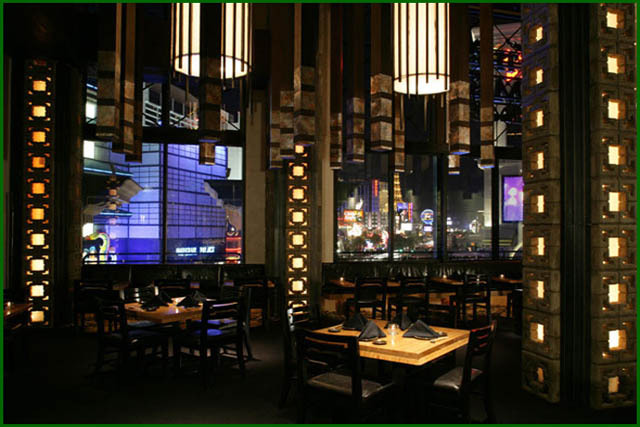 Indeed, even in a city like Las Vegas where appearance is often of utmost importance, Sushi Roku keeps its focus on food. May well become a celebrity hotspot like the one in LA if it plays its cards right. Restaurant looks good, but focus is still on the food in a city obsessed with appearance. Large. Has a koi pool. Piles of salt on steps for good luck.